Rats and mice – and other animals – have been staples of biomedical research laboratories for decades. After using rodents in her research on heart failure and diabetes for years, Charu Chandrasekera noticed that the information derived from animal experiments often didn’t match results of human trials, so she began to look for a better way. Today, Dr. Chandrasekera is the executive director of a new research centre at the University of Windsor that aims to replace animals in biomedical research with assays that use human cells, biomaterials and other methods instead. It is reportedly the first of its kind in Canada. Charu Chandrasekera is executive director of the Canadian Centre for Alternatives to Animal Methods. Photo by Andrew Hubberstey. The new Canadian Centre for Alternatives to Animal Methods will take a three-pronged approach, focused on research, education and regulatory testing. Its scientists will do biomedical research using human cells, tissues and other human biomaterials, as well as stem-cell based technologies and computer modelling to understand human disease. It will train the next generation of scientists, ethicists and policymakers to “think outside the cage,” says Dr. Chandrasekera. Finally, the centre will work with regulators to develop and validate alternative tests and put them into use. The centre will have a basic science laboratory where researchers can create disease models (or “diabetes in a dish,” she says), a teaching laboratory and a validation laboratory. Its researchers will be able to screen thousands of chemicals at once and produce tissues such as skin and organs using a 3D bioprinter. In addition to being more socially acceptable than animal testing, these approaches are faster, cheaper, and provide researchers with information that is more accurate and relevant to humans. 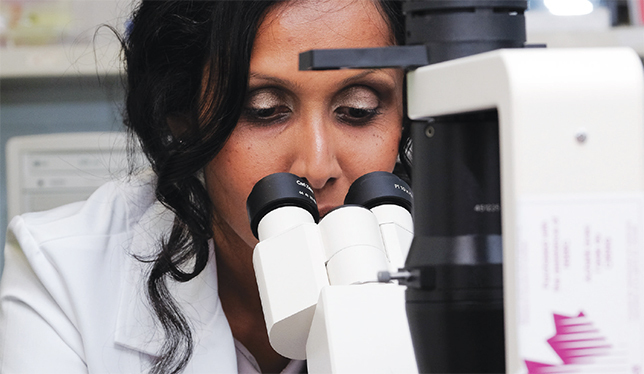 Although other countries have similar facilities, Canada needs its own space to work through Canadian regulatory testing, which may differ from those in the U.S. or Japan, for example, and to develop its own technology, says Dr. Chandrasekera. “We’re not talking about getting rid of animal research tomorrow morning, but about incorporating the human element into everything we’re doing,” she says.